Tracy here and I have chosen to continue the theme of the Holly and berries picked up in the new Christmas in Norway collection, very traditional. Again Pion have brought you beautiful vintage images. No, I don’t like this…I ABSOLUTELY LOVE IT!! 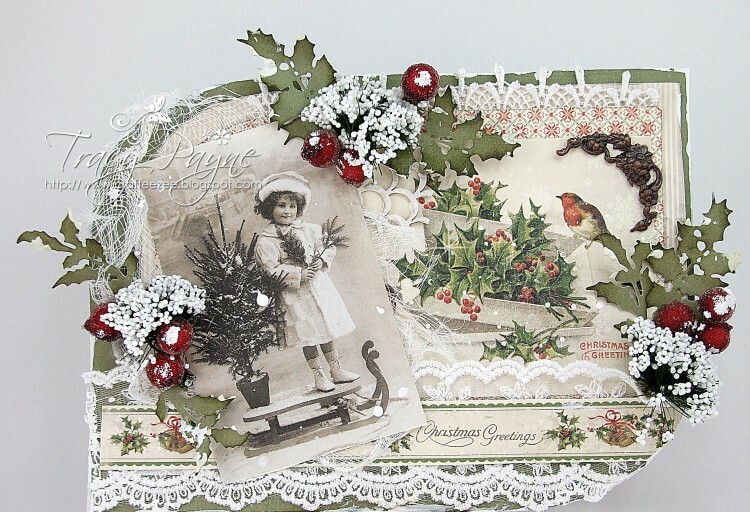 Tracy, you have done another beautiful card using the new Christmas in Norway papers. I just love every inch of this! !